Measures 26 1/2 in. W x 3 3/4 in. proj. x 2 in. flange dia. 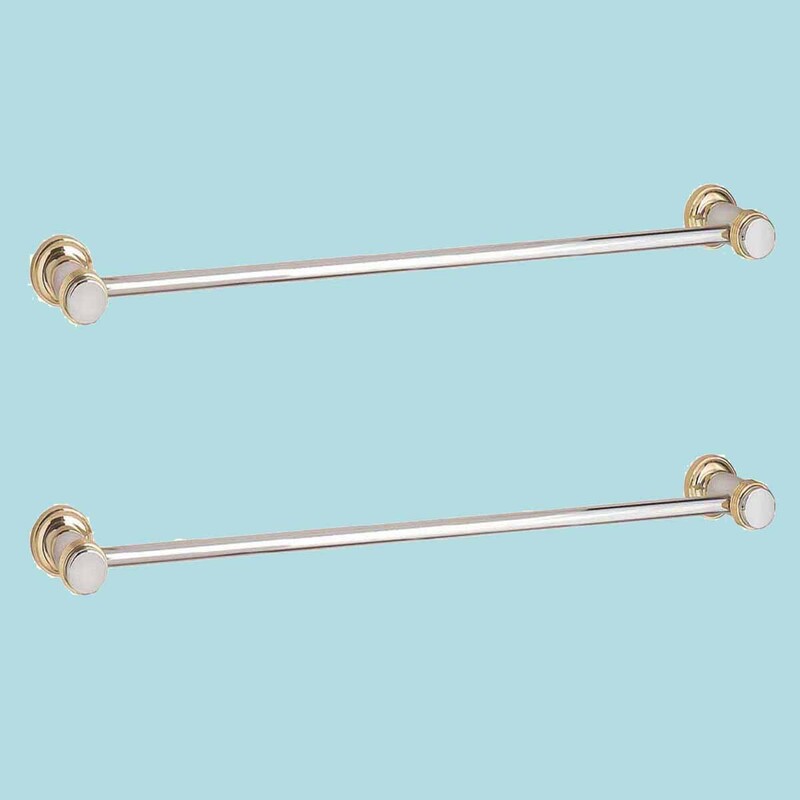 (2) pieces Towel Bar. 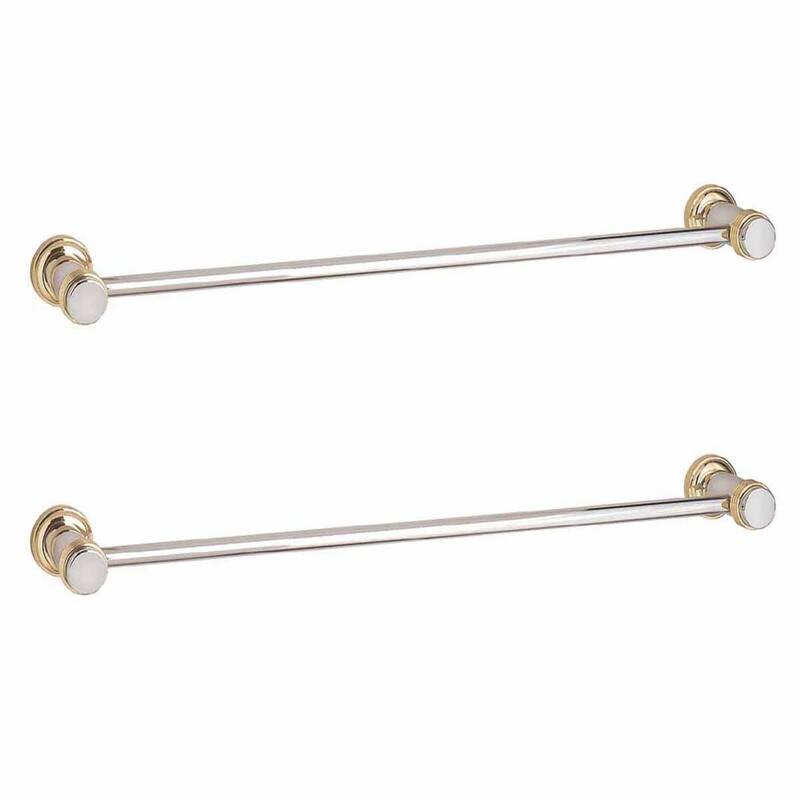 The Spectrum Bath Collection features contrasting CHROME and BRASS accents. 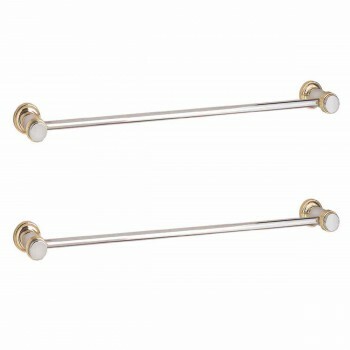 The towel bar and flanges are CHROME which are highlighted by contrasting BRASS accents. The CHROME tubing may be easily cut to measure. Alone the tubing measures 24 in. before installation. Once installed into the supports the tubing measures 23 inches. 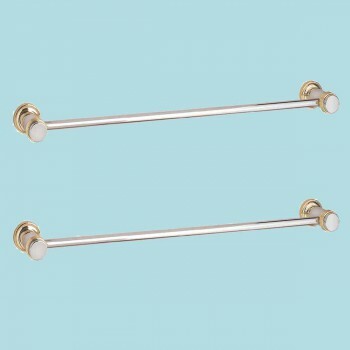 Overall the towel bar measures including supports, 26 1/2 inch wide.